Completely renovated throughout, including new Kitchen layout with gorgeous cabinets, soft close doors, sliding pullout drawers, island with trash compartment, granite countertops and sst appliances (gas cooking, side x side refrig with ice/water in the door). Gorgeous hardwood floors throughout first floor and new carpeting in 2nd floor bedrooms. This 4 bedroom, 2 full bath cape will satisfy all of your needs. Both bathrooms have been gutted, insulated and remodeled. LED, Energy Efficient lighting throughout. New Roof and Thermopane windows installed. This home also has a newly refinished and heated basement along with gas heating, gas hotwater and gas cooking to save energy costs on your monthly budget. An enlarged shed will handle all of your storage needs. Don't miss this opportunity! 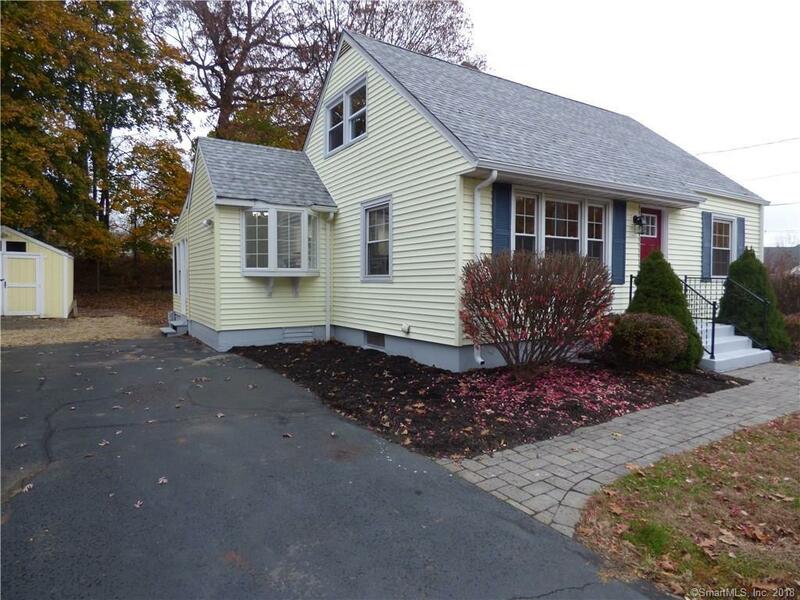 Schedule your appointment today to see this gorgeously renovated 4 BR, 2 Full Bath home. owner agent.